The 48-hour hackathon being co-sponsored by MoguraVR, is taking place throughout seven different Japanese cities where contestants will compete to create digital content celebrating Japanese culture, innovation and lifestyle. Hackathons have always been events where some of the most creative and technically innovative content has emerged. Hackers from throughout Japan will have the opportunity to participate in the biggest event of its kind in that country as Perception Neuron and Japanese virtual reality news site, Mogura VR have joined forces to present the 2016 Perception Neuron All Japan VR Hackathon taking place June 17-19. In an early, celebratory nod to the upcoming Japan 2020 Olympic Games, hackers taking part are being asked to use the medium of virtual reality to capture the culture, innovation and lifestyle trends that are unique to Japan. The participating hackers will be using the Perception Neuron motion capture system to create various experiences about Japan. Winners of the content created at the All Japan VR Hackathon will be featured both nationally and internationally at several upcoming events including the Digital Content Expo, taking place in October in Tokyo; SVVR Asia, also being held in October in Beijing; and at Mogura VR events worldwide. A selection of awards will be given out to the best projects produced during the hackathon. Sponsors of the event will be giving winners a collection of donation prizes. The awards include the Japan VR Award, Perception Neuron VR Award, Perception Neuron Special Integration VR Award, Vive VR Award and the Aiuto Award. The hackathon is taking place from June 17-19 with the main headquarters at Mono Telecom Center in Tokyo. Satellite events of the hackathon will take place in Osaka, Ishikawa, Okayama, Hiroshima, Fukuoka and Okinawa. Events leading up to the hackathon will include an Unreal Engine Workshop on June 11th and a series of VR Workshops and Q & A sessions on June 17th. Registration has begun on the hackathon website and will continue through 9 a.m. on June 18th. The hackathon will kick-off following registration and will continue through the evening of June 19. Awards will be given out immediately afterwards. Sponsors for the All Japan Hackathon include Unity, Unreal, Aiuto, Mono, Mouse Computers, COLOPL, G-Tune, Tech Lab Paak, Hackosco, DCAJ, AMD and iClone. 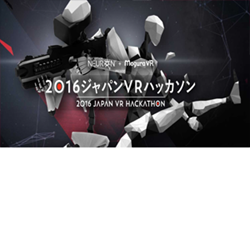 To register, and for more information about the Perception Neuron All Japan VR Hackathon, please visit vrhackathon.co. To learn more about Perception Neuron, please visit neuronmocap.com. To learn more about Noitom, visit noitom.com.